Allot of People try to act as if they live a life of Hip-Hop, if you want to see how Hip-Hop should be lived go visit King Sun In Bronx NY, better yet Gunhillroad! He never left the hood, even after selling gold with his second album Righteous But Ruthless. 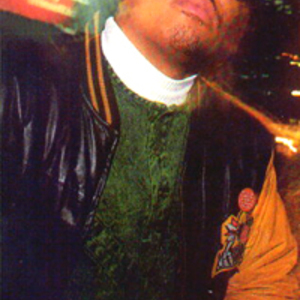 Like a prophet he stayed amongst his people bringing some of the most ferocious lyrics and songs to come out the Bronx. King Sun has never declined upon a freestyle challenge EVER! Always got his golden tongue ready to spit at any one coming at him. Allot of MC?s say its unfair and he should not battle because he is ?pro? or he is ?already famous?. Weather he is famous or not he is a BATTLE MC! Has always been and will always stay. As a heavyweight champion in the ring not many MC?s can come close to this MC that has so much charisma that make people hypnotized as soon as his voice is heard when on stage or in a cipher on the corner of any street or in any hood. Some compare his voice to be similar to that of Rakim, some say he has the voice of Barry White in Hip-Hop. His achievement for the Hip-Hop world has been great influence for allot of people around the world. To mention a few artists King Sun has worked with are M.O.P., Ice-T, Fat Joe, Poor Righteous Teachers, Funk Master Flex and more. King Sun is still here waiting for anyone to get at him that dares to battle! Your welcome to get at him right here!!!!! A TRUE PROPHET NEVER LEAVES HIS PEOPLE OR HIS HOOD!